In Mormon 2:15, Mormon stated that the “day of grace was past” with his people, the Nephites. The phrase “day of grace” only appears once in the scriptures, so it is hard to know what it might mean. However, based on what this phrase meant in the late 1820s when the Book of Mormon was translated, it is possible that the “day of grace” signified extra time that God gave the Nephites to repent. The 1828 Webster’s Dictionary, a dictionary from Joseph Smith’s own time and place, defines the day of grace as a “time of probation, when an offer is made to sinners.” This seems to come from a definition having to do with commerce: “the days immediately following the day when a bill or note becomes due, which days are allowed to the debtor or payor to make payment in.” Today, people usually refer to this as a “grace period.” In other words, the day of grace is extra time given for a person to pay a debt, which in a spiritual sense means that God gives his children extra time to repent. This very physical destruction that the Nephites were experiencing at this time helps to explain Mormon’s comment about the day of grace. He stated that “the day of grace was past with them, both temporally and spiritually” (Mormon 2:15). 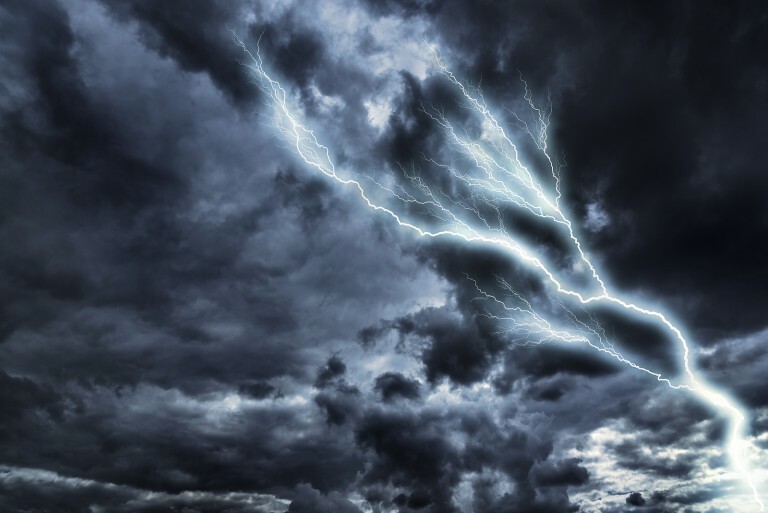 Temporally speaking, the delay of the death penalty that was the Nephites’ punishment for their “open rebellion against their God” was over, and they were physically being destroyed. But spiritually, the extra time God had granted them to repent was also over. Thus, the day of grace was past, both temporally and spiritually. The idea that God gives mankind extra time to repent appears in other places in the Book of Mormon as well. Alma, for example, stated that God could have killed Adam immediately for violating the commandment not to eat of the fruit of the tree of life. However, he stated that “death comes upon mankind … nevertheless there was a space granted unto man in which he might repent; therefore this life became a probationary state; a time to prepare to meet God” (Alma 12:24). In other words, God gave Adam extra time so he could repent, just like He gave the Nephites extra time. In Adam’s case, “there was a time granted unto man to repent, yea, a probationary time, a time to repent and serve God” (Alma 42:4). The same can be said of all of us. As Alma put it, the only way the plan of redemption can be brought to pass is if people repent while in “this probationary state, yea, this preparatory state; for except it were for these conditions, mercy could not take effect except it should destroy the work of justice” (Alma 42:13). In some ways, mercy is a matter of time. If God instantly punished sin, people would have no time to feel remorse, repent, and become better. God grants people a “day of grace” to see if they will “repent and serve God” (Alma 42:4). This is one way in which, as Alma taught, mercy does not destroy justice. People have the opportunity to repent and receive God’s grace through the mercy of Christ, before the full weight of justice falls upon them. God has provided us all with the opportunity to repent and come to Him. Instead of immediately punishing us when we sin, He gives us the necessary time to change our lives and be healed through the redemption of Christ. The Nephites did not take advantage of this opportunity during Mormon’s lifetime. Even when offered one last chance, they refused it. As Mormon stated, “the Lord did say unto me: Cry unto this people—Repent … and ye shall be spared. And I did cry unto this people, but it was in vain; and they did not realize that it was the Lord that had spared them, and granted unto them a chance for repentance” (Mormon 3:2–3). However, we can all take advantage of this time today, if we will look at our lives as a period of probation, and gratefully and wisely use the extra time God has given us to repent. H. Donl Peterson, “The Law of Justice and the Law of Mercy,” in Alma, The Testimony of the Word, Book of Mormon Symposium Series, Volume 6, ed. Monte S. Nyman and Charles D. Tate, Jr. (Provo, UT: Religious Studies Center, Brigham Young University, 1993), 211–222. Robert L. Millet, “Justice, Mercy, and the Life Beyond: Alma 40–42,” in The Book of Mormon, Part 2: Alma 30 to Moroni, ed. Kent P. Jackson, Studies in Scripture: Volume 8 (Salt Lake City, UT: Deseret Book, 1988), 56–68. For the use of “past” instead of “passed,” in the earliest text see Royal Skousen, ed., The Book of Mormon: The Earliest Text (New Haven, CT: Yale University Press, 2009), 784. For an explanation of the variant, see Royal Skousen, Analysis of Textual Variants of the Book of Mormon: Part Six, 3 Nephi 8 – Moroni 10, 2nd edition, The Book of Mormon Critical Text Project, Volume 4 (Provo, UT: FARMS and BYU Studies, 2017), 3734–3735. 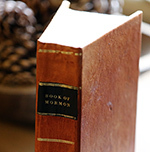 For a discussion of how grace is usually used in the Book of Mormon, see Stephen E. Robinson, “Grace,” in Book of Mormon Reference Companion, ed. Dennis L. Largey (Salt Lake City, UT: Deseret Book, 2003), 306. Noah Webster, American Dictionary of the English Language (1828), s.v., “Grace.” Online at webstersdictionary1828.com. Oxford English Dictionary (1971), s.v., “Grace,” 325–328. This delay before execution may reflect a common practice in ancient America, where rulers would schedule the execution of a slave for some time in the future, usually a sacred festival. See John S. Henderson, The World of the Ancient Maya, 2nd ed. (Ithaca, NY: Cornell University Press, 1997), 62. People have usually assumed that this verse refers to grace as we usually think of it, but then one wonders why Mormon stated, “both temporally and spiritually.” For an interpretation that assumes this is grace as we usually think of it, see Brent J. Schmidt, Relational Grace (Provo, UT: BYU Studies, 2015), 155–156. For more on the relationship between justice and mercy, see Bruce C. Hafen, “Justice and Mercy,” in Encyclopedia of Mormonism, ed. Daniel H. Ludlow (New York, NY: Macmillan, 1992), 2:775–776. For more on this, see Robert L. Millet, “Justice, Mercy, and the Life Beyond: Alma 40–42,” in The Book of Mormon, Part 2: Alma 30 to Moroni, ed. Kent P. Jackson, Studies in Scripture: Volume 8 (Salt Lake City, UT: Deseret Book, 1988), 56–68. See H. Donl Peterson, “The Law of Justice and the Law of Mercy,” in Alma, The Testimony of the Word, Book of Mormon Symposium Series, Volume 6, ed. Monte S. Nyman and Charles D. Tate, Jr. (Provo, UT: Religious Studies Center, Brigham Young University, 1993), 211–222. See Joseph Fielding McConkie, Robert L. Millet, and Brent L. Top, Doctrinal Commentary on the Book of Mormon, 4 vols. (Salt Lake City, UT: Bookcraft, 1987–1992), 4:217.